Romance is much more than a date night out or a week away. A passionate, long-lasting love requires two people who are sensually in love with life and each other. In this fascinating book, the authors explore research on seven activities that prompt passion, then describe how Mediterranean cultures practice these secrets in everyday life. Steve and Misty also share how these fun-to-apply secrets have taken their own marriage from confused to confident, from discouraged to delighted– and how you can do it too. 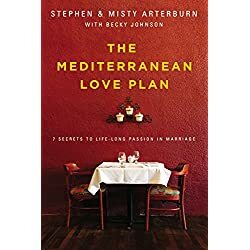 The Mediterranean Love Plan will help couples become more playful, creative, connected and romantic — burning with passion that stands the test of time. 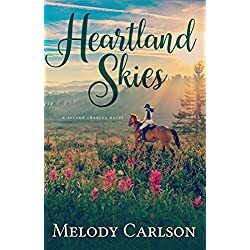 Reformed rebel Jackson Cooper thinks he can handle anything until a sullen teenage girl appears at his ranch, claiming the impossible. Even though he’s not Jade’s father, he can’t turn her away, knowing she’s in need. But he’s going to need the helping hand of compassionate schoolteacher Madeline Patton. An unlikely duo with their own secret fears, Jackson and Maddie certainly don’t expect the Christmas surprise of instant parenthood. Yet as they work toward giving a foster child a home, they might just discover the most wonderful gift of all: family. 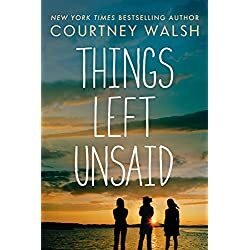 Written by a psychologist who’s successfully navigated single motherhood herself, this book helps single moms believe they and their families deserve the best life has to offer. Packed with practical tips, smart strategies, and ways to improve the well-being of single moms and their children, this book shows single moms how to improve their leadership and parenting skills. It tackles pressing issues such as self-care, a support network, organizing, finances, discipline, and more. 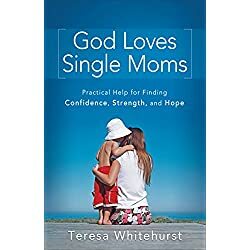 Teresa Whitehurst reminds single moms that they don’t need to be overwhelmed and that God loves them, is on their side, and wants to guide and support them every step of the way. While they may get weary, they need never feel alone. 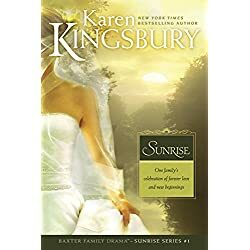 In preparation for their long-awaited wedding day, Dayne and Katy are determined to keep the ceremony a secret from the paparazzi. Their relationship grows closer and stronger as they plan together, but in the end it takes the help of the Baxter family and many of the CKT kids so that they’ll even have a chance at a private wedding. 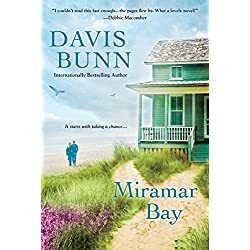 John Baxter is thrilled that his oldest son will be settling down a few miles away, but he isn’t sure how any of his kids will handle a situation he can no longer run from—the feelings he is having for his friend Elaine. In the meantime, the Flanigan family is struggling with their young boarder, Cody Coleman, Jim Flanigan’s star receiver. After an alcohol overdose, Cody fights for his life. Only God’s grace and a miracle can bring him back from the brink of death—physically and spiritually.